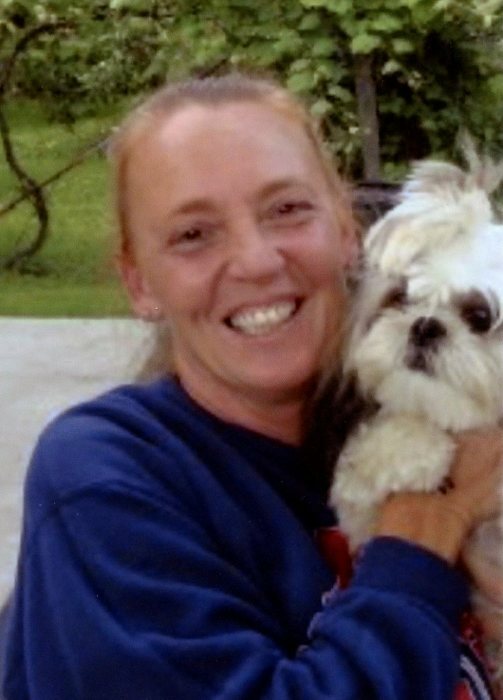 Cheryl A. Goff, 56, Sandusky, died Sunday, January 13, 2019, in Stein Hospice Care Center. She was born on June 5, 1962 in Sandusky, to the late Ronald and Carol (Vassalo) Wildenthaler. Cheryl worked many jobs and the latest being Ventra in Huron. She loved gardening, fishing, traveling, being outdoors, especially loved animals, and spending time with her grandchildren. She is survived by her husband, Jerry; children, Kelly (Chad) Braden and Terry Luberda, both of Sandusky; grandchildren, Tyler, Laney, and Bentley; step children, Tammy Miller and Wanda Holzmiller, both of Sandusky; five step grandchildren; 10 step great-grandchildren; sister, Connie (Chris) Pengov, Marblehead; brothers, Ronald (Tina) Wildenthaler, Sandusky and Jim (Ginny) Wildenthaler, Texas, several nieces and nephews. A memorial service will be held Thursday, January 17, 2019, at 4 P.M. in Toft Funeral Home & Crematory, 2001 Columbus Ave., Sandusky. Pastor Cody Goff will officiate. Burial will take place in Meadow Green Memorial Park, Huron. Memorial contributions may be made in Cheryl’s name to Stein Hospice Service, 1200 Sycamore Line, Sandusky, or to Cancer Services of Erie County, 505 W. Perkins Ave., Sandusky. Condolences and gifts of sympathy may be made to the family by visiting toftfuneralhome.com.